What's a Super Bowl worth? It depends on who you ask. Gov. Mark Dayton pegged it at $500 million for Minnesota four years ago. A study commissioned in Indianapolis after the Super Bowl in 2012 set the net economic benefit at $278 million for the Giants-Patriots game. Peter O'Reilly, senior vice president of events for the NFL, said the Super Bowl's economic impact ranges between $300 million and $500 million. • Issues: Where will homeless go when Super Bowl comes to town? But academic studies put the economic impact much lower — at best, between $30 million and $120 million, according to past estimates. Much of that money gets passed to out-of-state corporations like hotel and car rental chains, the research found. Still, the financial bump was a key factor in the fight over funding to build U.S. Bank Stadium in 2012. The state and the city of Minneapolis pledged nearly $500 million in taxpayer funding to a new home for the Vikings. Lester Bagley, the Vikings vice president, told the St. Paul Area Chamber of Commerce on Wednesday that there are signs the Super Bowl will be as big an attraction as ever — with a record 5,800 members of the media coming for the game as well as 150,000 expected visitors. He cited a study by the Super Bowl Host committee that estimated $400 million in economic impact. "And the branding and the name ID, to have Minnesota, hopefully Minnesota Vikings throughout the world is incredible," Bagley said. There's some evidence of the branding bump. There are people around the country that still remember, for example, video of the St. Paul ice palace from the last Super Bowl in 1992. But at least some think the financial bump, like those icy towers, may be ephemeral. 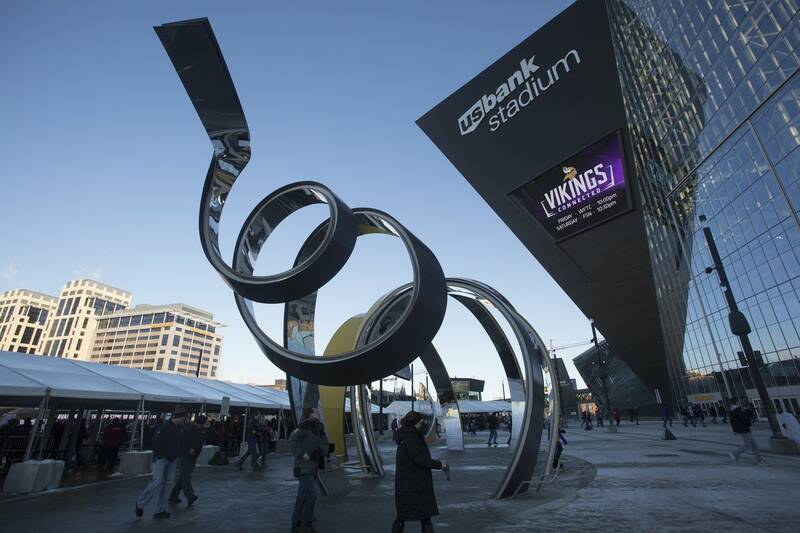 Chris Behrens, president and CEO of YA, a Minneapolis-based digital promotional and marketing services company, said his company sent out a six-question Super Bowl survey to 1,000 of the company's contacts in various industries. About 100 responded. While Behrens concedes the survey is unscientific, he said it found only about a third of the responses said the game would bring their company more business in the long term, and about a quarter are planning to actually market their products and services to game attendees. One of the strongest responses to the informal survey: two-thirds of survey respondents will be happy when the game over, said Behrens, who's also on the Minneapolis Downtown Council board. "I think our take on that is, when you have company over, you love to have 'em but then you're also happy to have your home back when it's over."